D.A. Seth Williams says this new protocol is all about transparency, but the FOP is accusing him of playing politics. 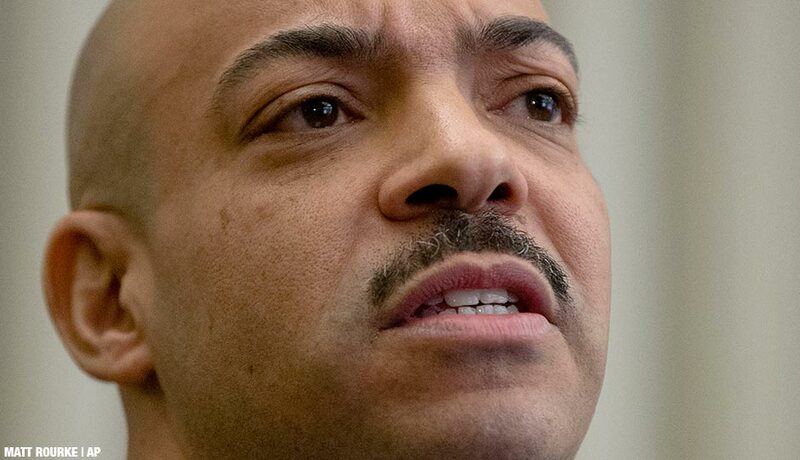 By David Gambacorta·	 11/10/2016, 4:08 p.m.
District Attorney Seth Williams on Thursday morning outlined a handful of new steps his office is taking to assure the public that investigations into police shootings are conducted fairly. The new protocol — which has already drawn the ire of the Fraternal Order of Police Lodge No. 5 — will require an on-duty prosecutor from the office’s Special Investigations Unit to head to the scene of all police shootings, then review paperwork and and speak to police officials. In the event of a fatal shooting, the prosecutor will additionally contact the victim’s family and invite them to the D.A.’s Office to discuss how the ensuing investigation will unfold. Once the D.A.’s Office finishes its probe and decides whether criminal charges are warranted, a report will be compiled that reviews the facts of the case and explains the office’s position on the case. Prosecutors will relay their decision to the Police Department, and meet privately with the victim’s family to explain their decision, the D.A.’s Office said. Perhaps most significantly, the office’s investigative file on each shooting will be available to the public, the media, families of victims, and attorneys after 60 days. It’s a bit of understatement to say relatives of those slain by police have long felt like they’ve been left completely in the dark about the status of these investigations. 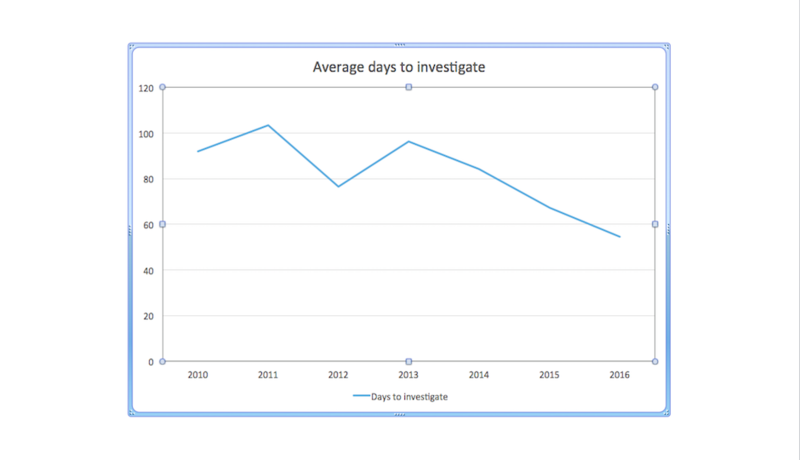 A chart released by the office today shows that it now spends fewer than 60 days to examine police shootings, compared to more than 100 days as recently as 2011. The DA’s Office released this chart, showing the length of time spent on investigations into police shootings. “This new protocol establishes a clear, transparent, and accountable process of review for every police-involved shooting. Most importantly, it requires disclosure and explanation to the public of what happened,” Williams said. “Philadelphia has been fortunate because we have not seen the problems that other communities have,” he said, in a possible reference to the riots that have unfolded in places like Baltimore and Charlotte in the wake of controversial police shootings. FOP leaders were critical of the D.A.’s new protocol, and less than pleased to learn of it from reporters and not Williams himself. “I’ve been at plenty of meetings with the D.A.’s Office, and this is the first I’m hearing of it,” said John McGrody, the union’s vice president. McGrody accused Williams of trying to pander to community members who have called for police reforms ahead of his run for a third term next year. FOP president John McNesby previously told Philadelphia magazine that the union would not endorse Williams as it had in the past. Prosecutors’ investigative files on police shootings will be made public 60 days after an investigation is wrapped up, per the new policy. The new protocol is not tied to the Collaborative Reform Initiative that was created by the U.S. Department of Justice after it reviewed the police department’s use of deadly force. Last week, Police Commissioner Richard Ross told Philadelphia magazine that the department will soon be modifying some of its own policies on police shooting investigations to bring them to conclusion faster. Those comments came as part of a discussion about Richard Ferretti, who was fatally shot by an undercover police officer in Overbrook on May 4th. Ferretti, a 52-year-old chef, was unarmed, and had been looking for a parking spot in the neighborhood where he lived with his girlfriend. The D.A.’s Office is still investigating that case. On Monday night, police fatally shot a 31-year-old man named Darryl Chisholm at 9th and Clearfield streets in North Philadelphia when he allegedly pointed a handgun at a police sergeant who had chased him on foot, according to the department. When Chisholm, 31, fell to the ground, he allegedly reached for another handgun, prompting three other officers who were at the scene to open fire on him as well. A loaded .357-caliber Ruger and a loaded 9MM semi-automatic pistol were recovered at the scene. The department this afternoon identified the cops as Sgt. Todd Landherr, Sgt. Michael Long, Officer Mark Kusowski and Officer Christopher Daukaus. The officers were in the area investigating a shooting that had occurred earlier that day. Thus far this year, Philly police has fatally shot five people, compared to two last year.